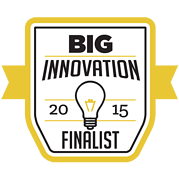 KPI Cloud Analytics was honored as a finalist for the 2015 BIG Innovation Award. KPI Cloud Analytics helps enable companies to gain maximum return from ERP information quickly through dynamic reporting that contains powerful visualizations. KPI was also honored with an Honorable Mention designation for a services industry solution in the area of travel & transportation. 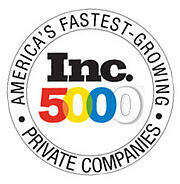 KPI Partners Ranks #1480 On Inc. Magazine’s 2012 Annual Ranking Of The Fastest-Growing Companies In America. 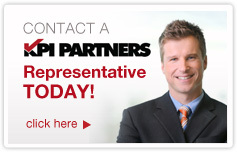 KPI Partners has received multiple Specialization designations from the Oracle Partner Network. Specializations are achieved through competency development, business results, expertise and proven success. Specialized partners are preferred by Oracle and recognized by customers. KPI Partners received top honors in the Business Intelligence Application Solution category of the Oracle PartnerNetwork (OPN), North America Titan 2011 Partner Awards, the most prestigious honor a partner can receive. The Oracle North America Oracle Titan Awards are given by Oracle to its leading alliances, recognizing solutions and business practices developed or delivered within Oracle’s fiscal year. These awards recognize alliance excellence in a number of categories, including sales, marketing and solution development. Nominations for the awards were submitted directly by and were open to all alliances in the Oracle PartnerNetwork. KPI Partners has been honored as a Oracle BI Partner of the Year in 2007 and within the Northeast United States region in 2011. This annual title is awarded for exceptionally successful deployments of Oracle technology. 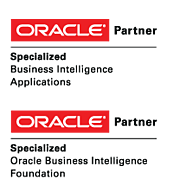 The Oracle Excellence Awards recognizes organizations for innovative deployments of Oracle Fusion Middleware with Oracle Applications. KPI Partners is proud to be associated with the award winning deployment at PNC Financial Services Group Inc. in 2008. The award is co-sponsored by Oracle, the Oracle Applications User Group (OAUG) and Quest International Users Group (Quest), Australian Oracle User Group (AUSOUG), United Kingdom User Group (UKOUG), Independent Oracle User Group (IOUG), and Oracle Development Tools User Group (ODTUG). KPI Partners has been selected by Oracle Corporation as a Business Intelligence (BI) Pillar Partner for multiple regions within North America. This recognition is part of the recent “Partner Sales Readiness Verification Initiative” announced by Oracle. The initiative was developed to identify partners in North America with proven expertise in strategic technology areas such as Business Intelligence, Identity Management and Fusion Middleware. Oracle will nominate and select 1 or 2 partners for each region which must then pass stringent competency requirements within the designated pillar technology. Oracle has designed this program to further collaborate with partners and drive revenue based on specialization within the market. Members of the KPI Partners staff have completed the necessary verification testing and are already working to support the Oracle field sales team by sharing implementation best practices and BI project success stories. KPI Partners is proud to have achieved the coveted Platinum Partner status in the Oracle PartnerNetwork (OPN). As one of the highest levels of membership within the Oracle PartnerNetwork, this prestigious partner status recognizes KPI Partners for our in-depth expertise and excellence across the entire suite of Oracle BI & EPM Solutions. With this platinum status, KPI Partners and our clients benefit by receiving the highest level of engagement, commitment, and benefits available to OPN partners. This means that KPI Partners will be provided with Oracle's direct and continuous support. Also, KPI Partners will have in-depth knowledge of, and access to, forthcoming product enhancements and new product developments, thereby allowing us to better serve our clients.